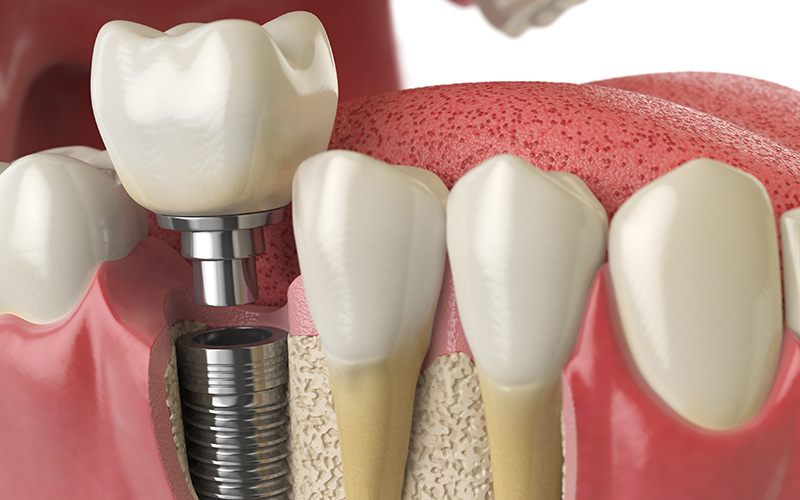 Cost for an implant placed and Zirconia crown $3,950. The most simple and affordable long-term permanent solution to replacing missing tooth, quick, easy and pain-free. More cost-effective than a bridge. (D6010), (D6058). The fee does not include extraction, bone grafting, gum graft, or CT-Scan if needed additional cost added. One offer per patient. Coupons may not be combined with any other offer. New patients only.